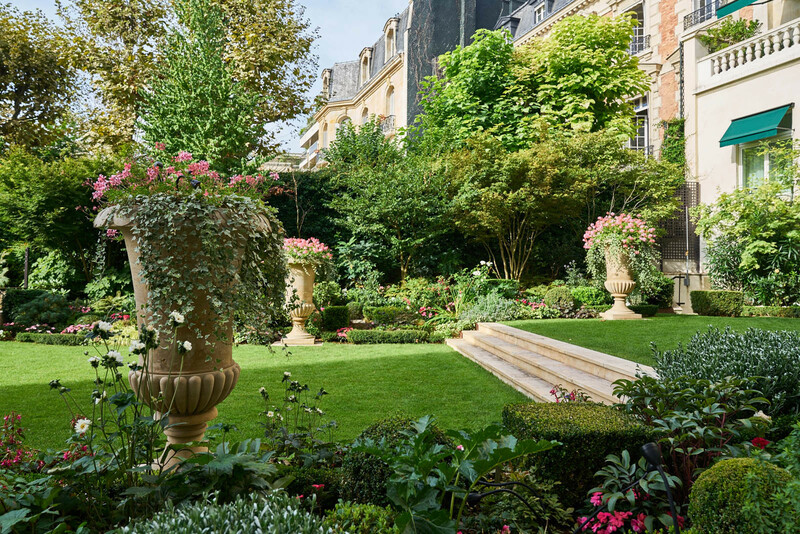 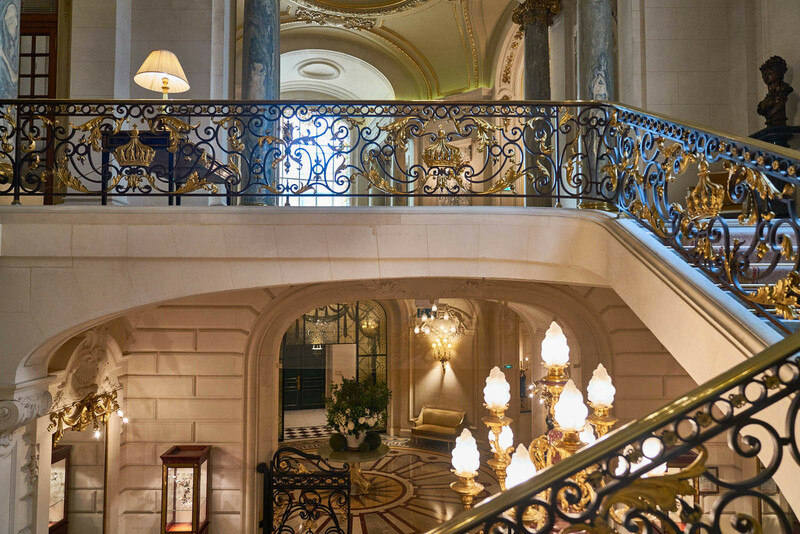 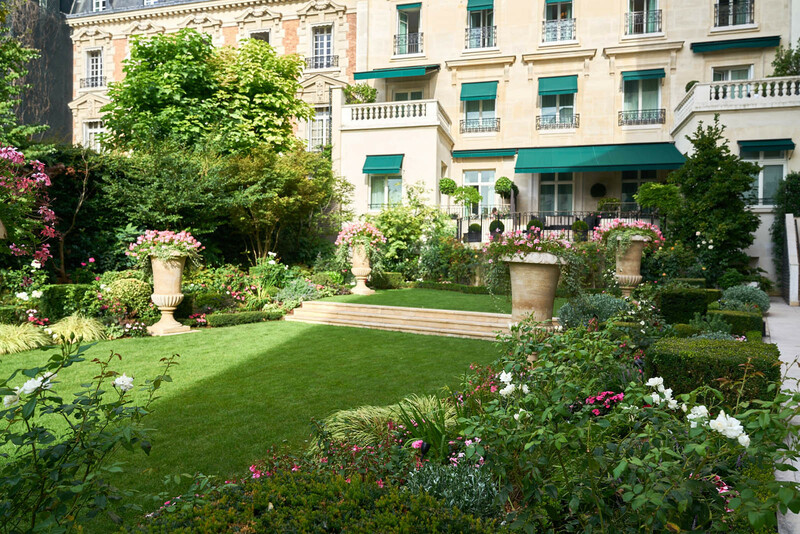 What was once the private estate of Prince Roland Bonaparte, the great-nephew of Napoleon, has since become one of the most coveted places in the world – The Shangri-La, Paris. 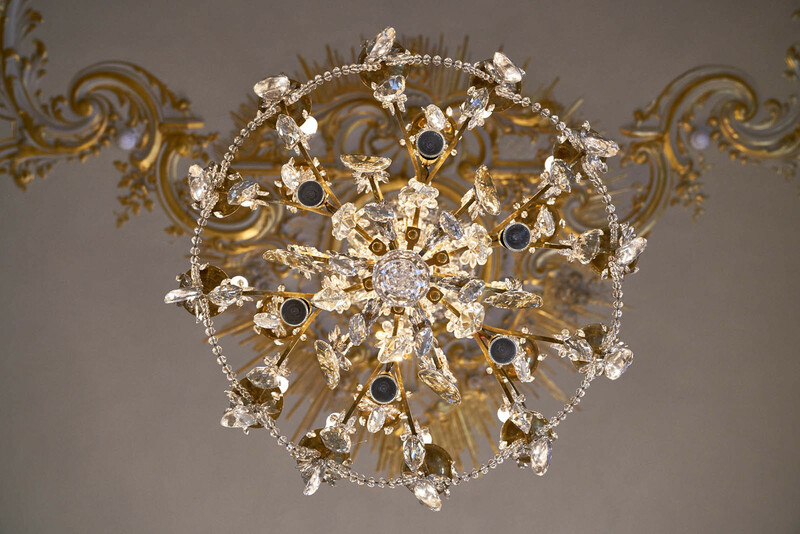 French aristocracy and bourgeoisie spent their time at No. 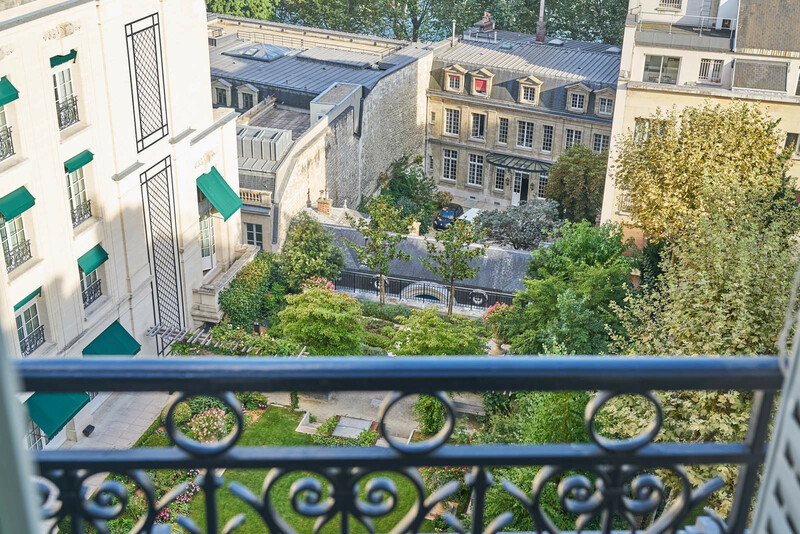 10 Avenue D'léna's Palais utilising the residence as a meeting place. 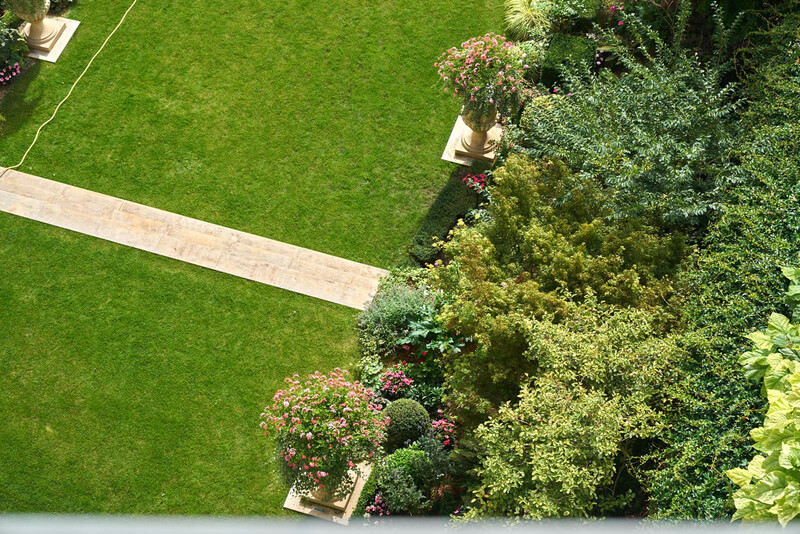 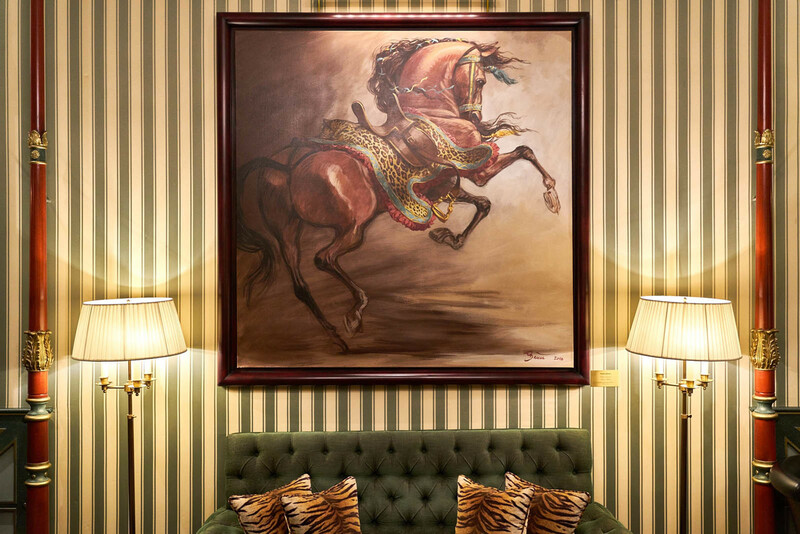 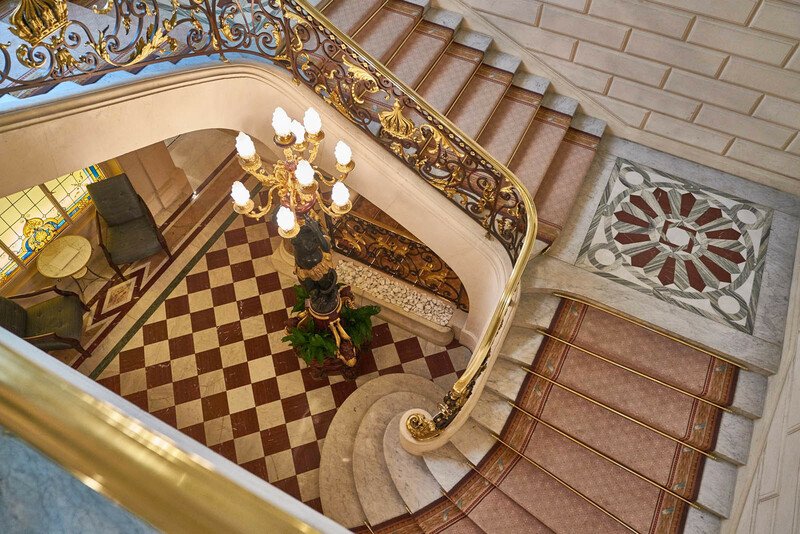 The grandeur of the property is none-other than astounding. 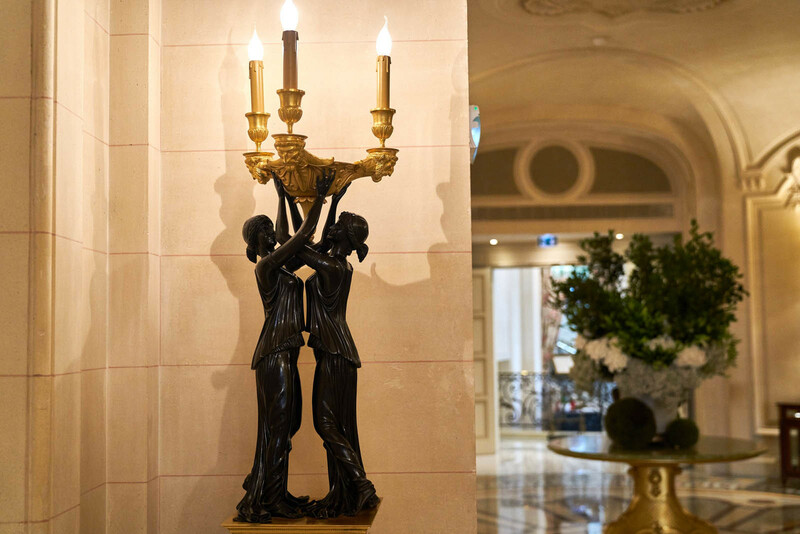 Each detail has been handcrafted by artisans and preserved in its historical state, with the timeless façade paying homage to its' elaborate legacy. 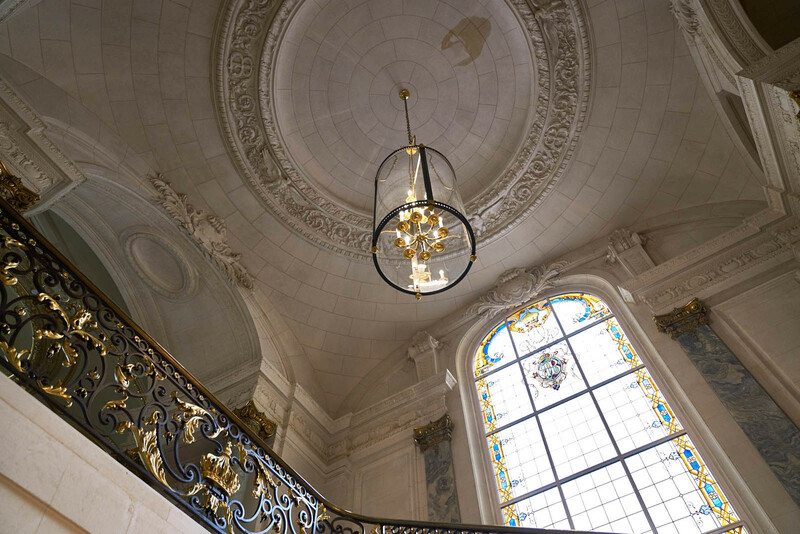 Renowned architect Richard Martinet fronted the restoration process, which took place 115 years after the initial build. 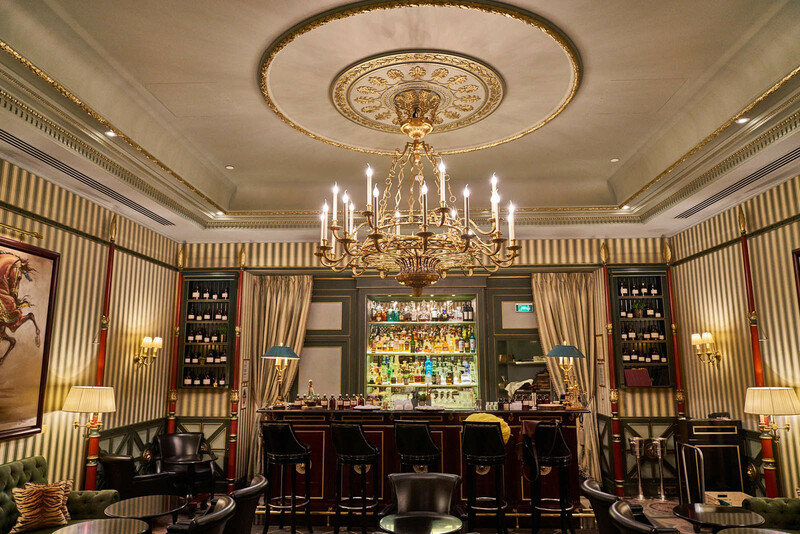 The front garden is as welcoming as you would expect, top-hatted doormen in three-piece suits and the front-of-house in cheongsam attires. 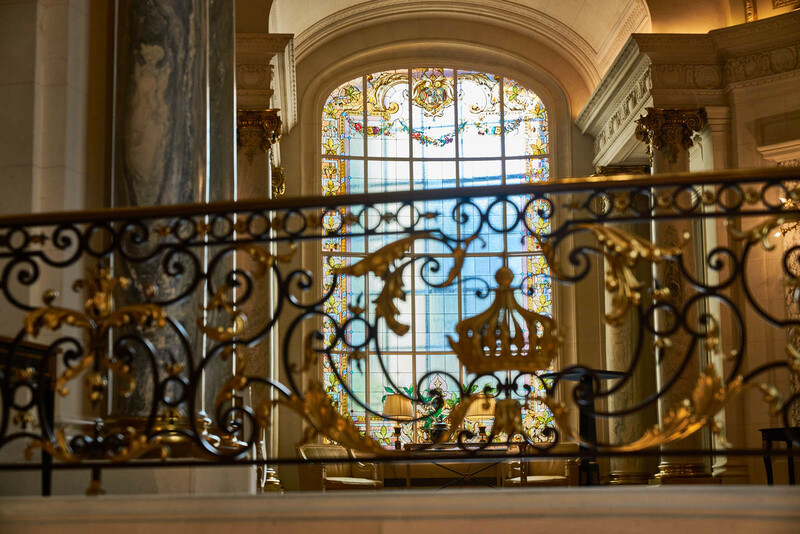 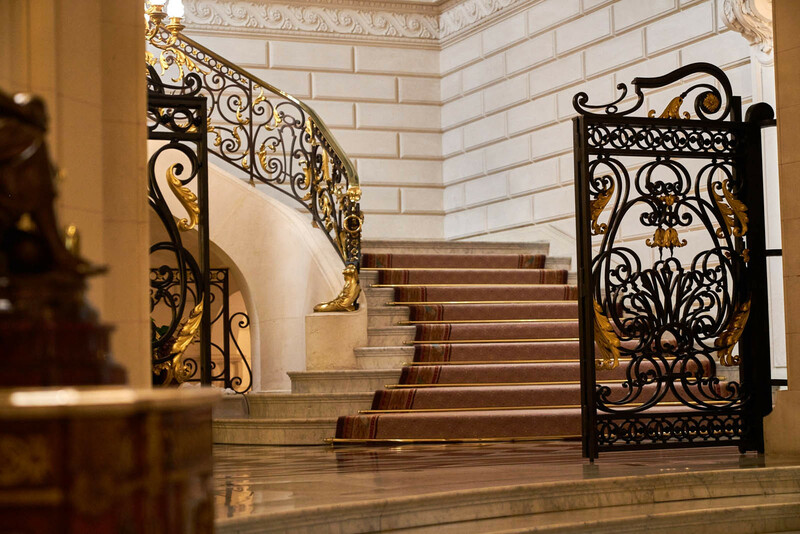 Upon entering the estate, you will notice the cascading staircase, intricate detailing on the walls and the meticulously restored hand-gilded panelling. 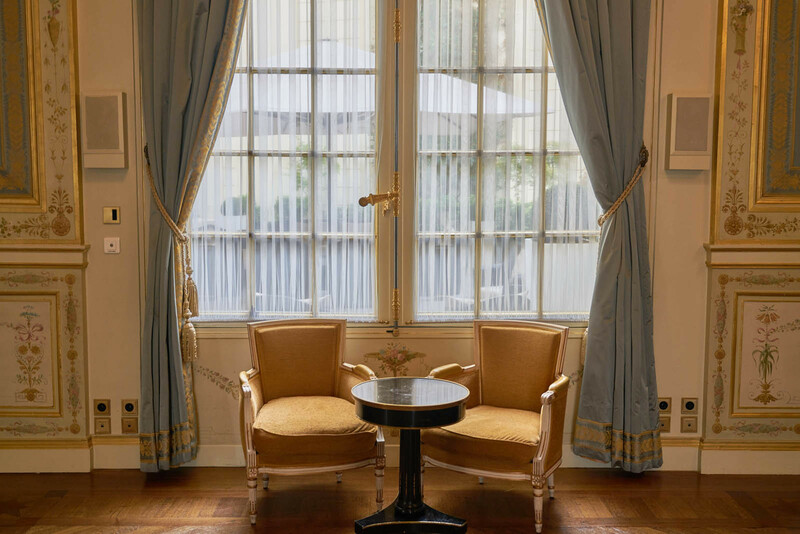 The suites within the estate offer European harmonies of custom-made furnishings, silk threaded wallpaper and refined crystal hardware. 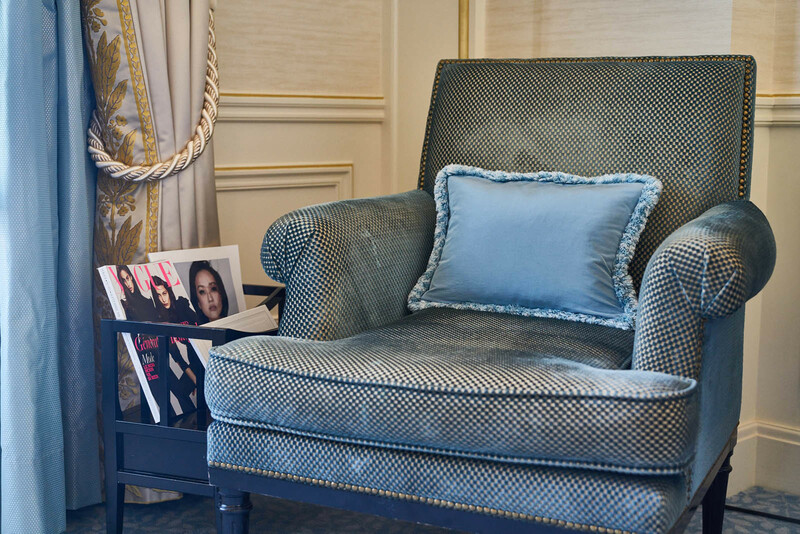 Elegant tones of blue, white and ecru are featured throughout the space, with a sophisticated selection of textures. 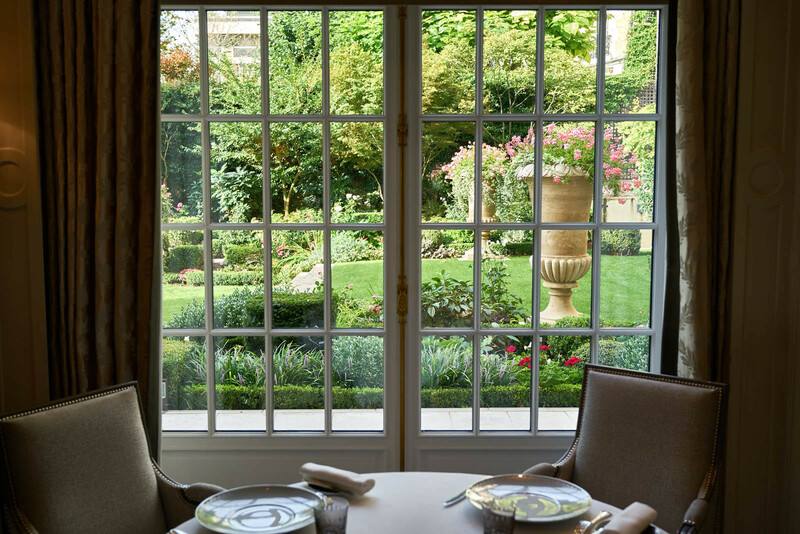 Natural-light soaks through the window, finding its way to the single armchair in the corner. 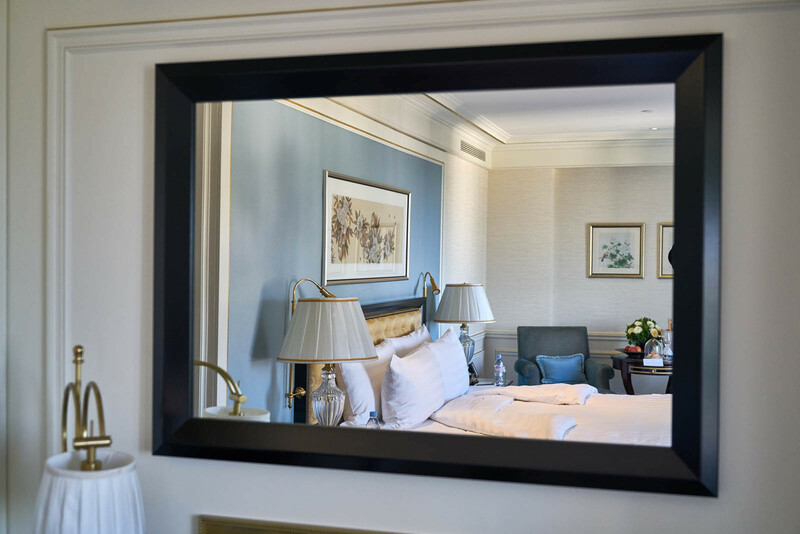 The bathroom features a stand-alone bathtub, which exposes the solid marble flooring underneath; and in collaboration with BVLGARI, you will find a selection of toiletries from the exclusive White Tea range. 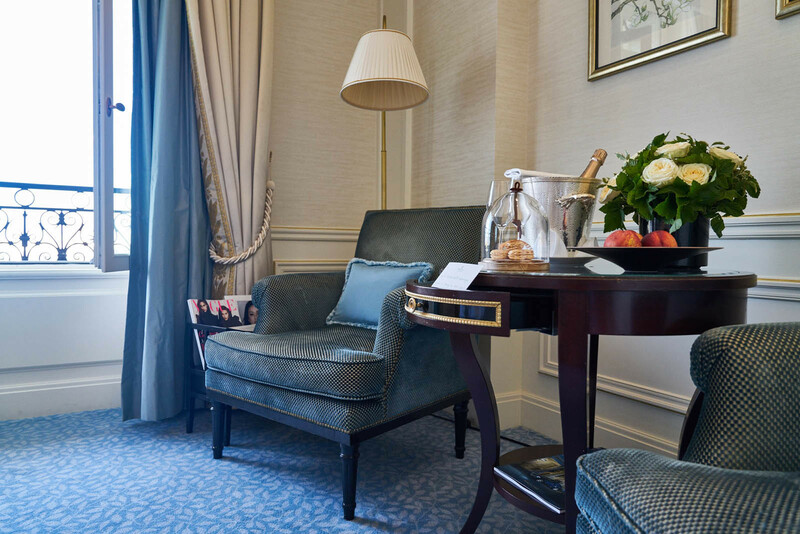 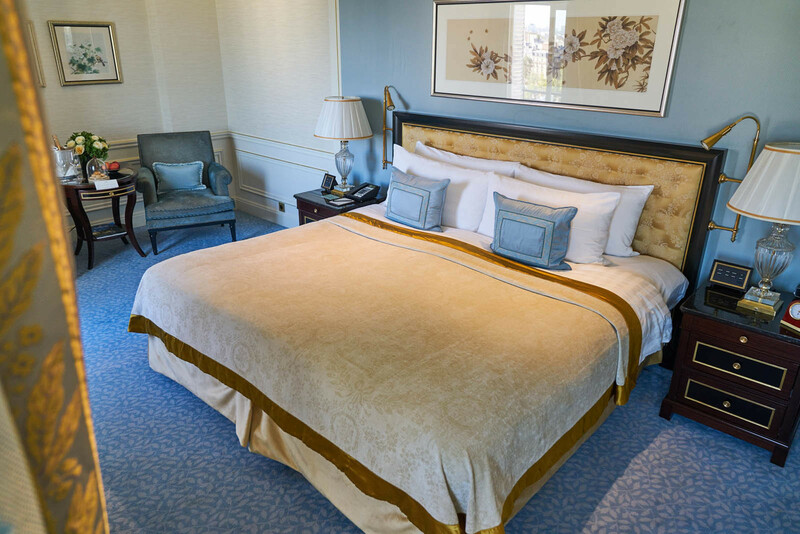 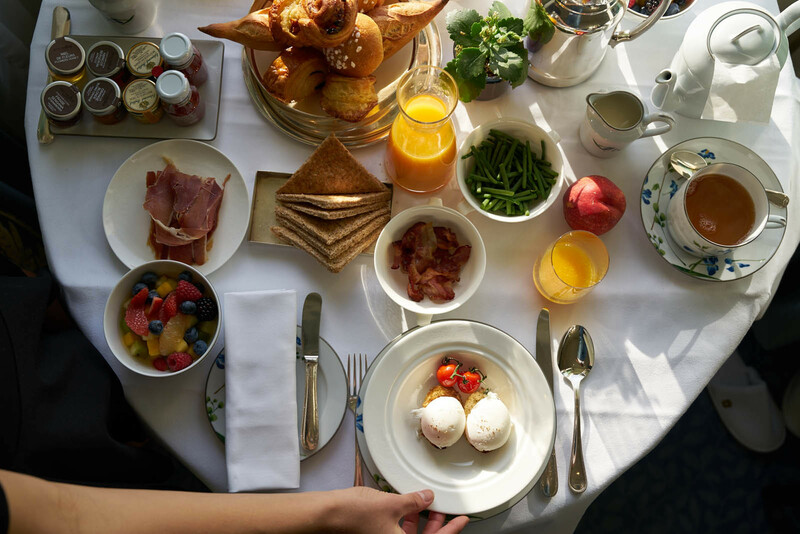 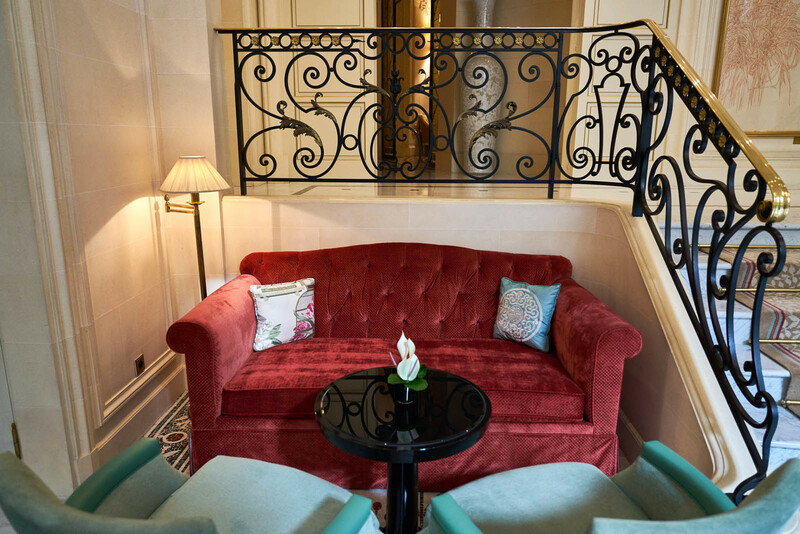 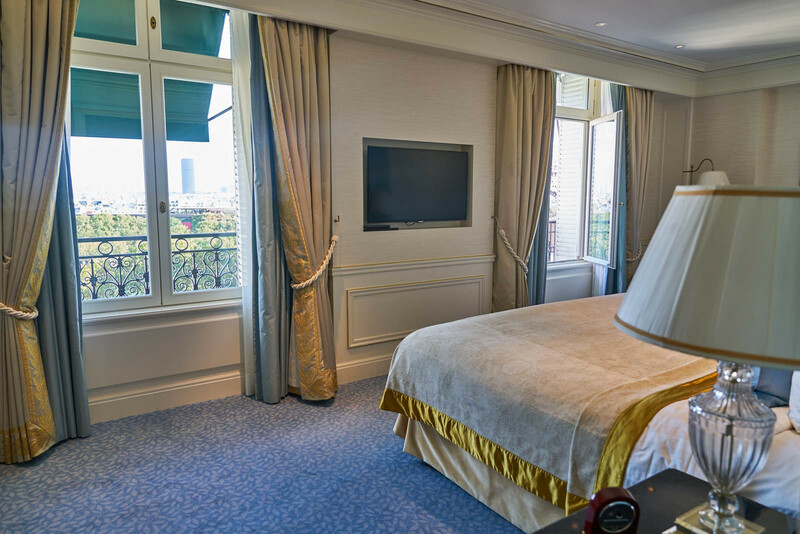 Each suite posses classic French style, executed with a minimalist approach that will feel like a home away from home. 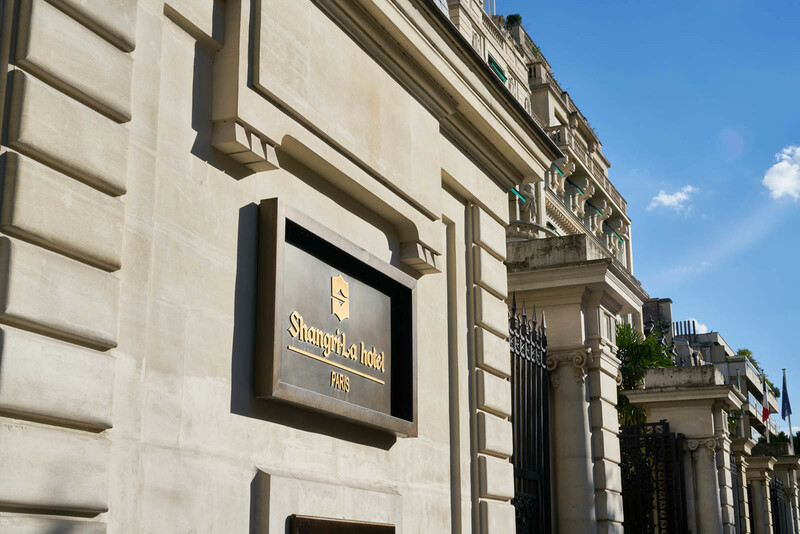 The Shangri-La can be found on the 16th arrondissement of Paris, just moments from the Place des Etas-Unis, Place du Trocadero and the Champs-Elysees. 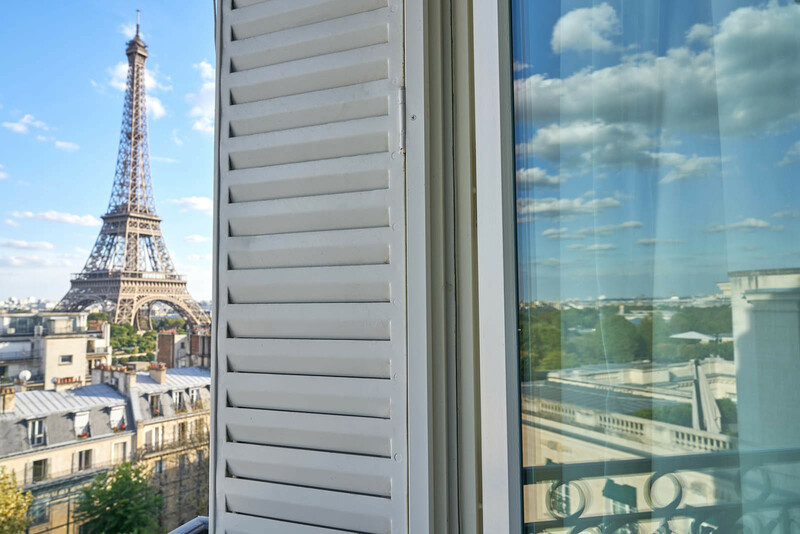 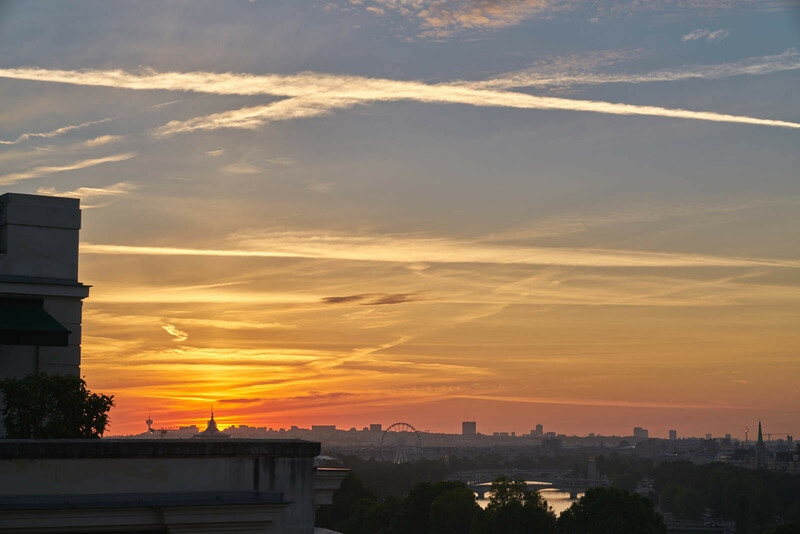 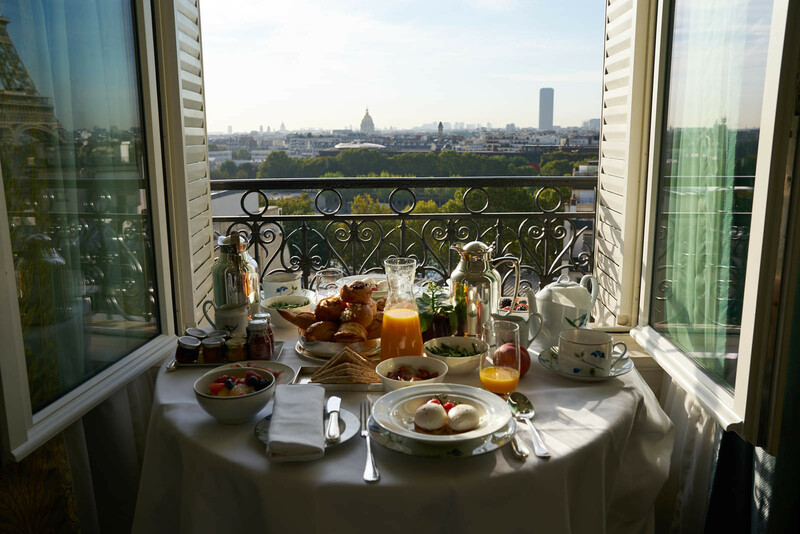 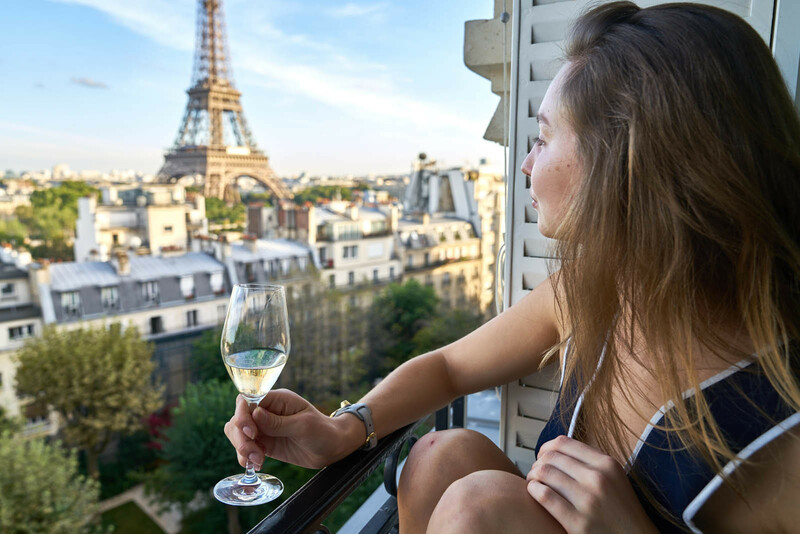 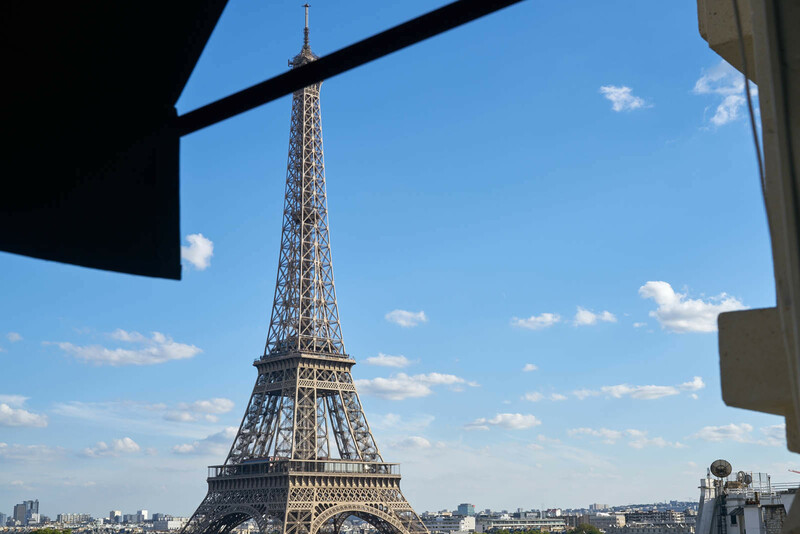 This enviable location ensures unobstructed views of the Tour Eiffel, which are exclusively visible from a number of rooms. 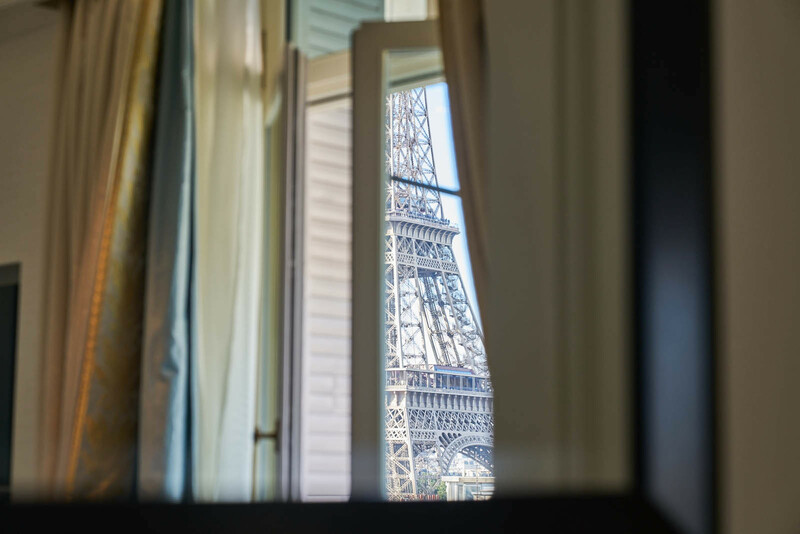 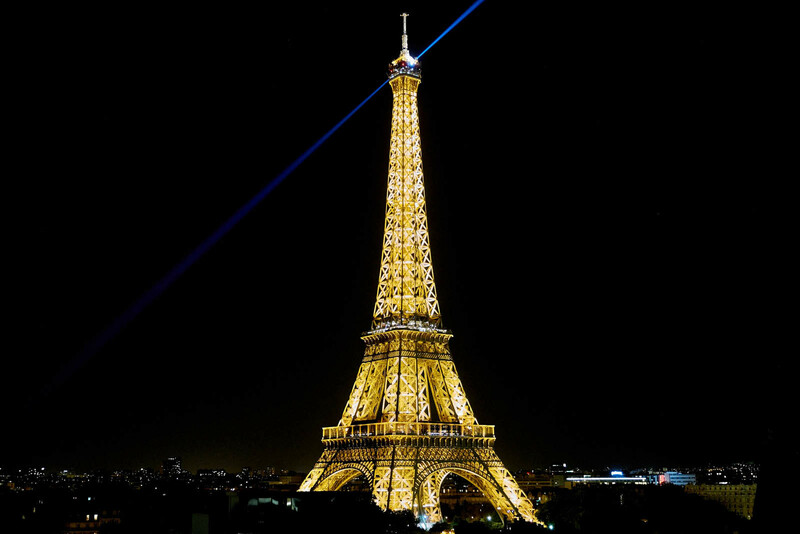 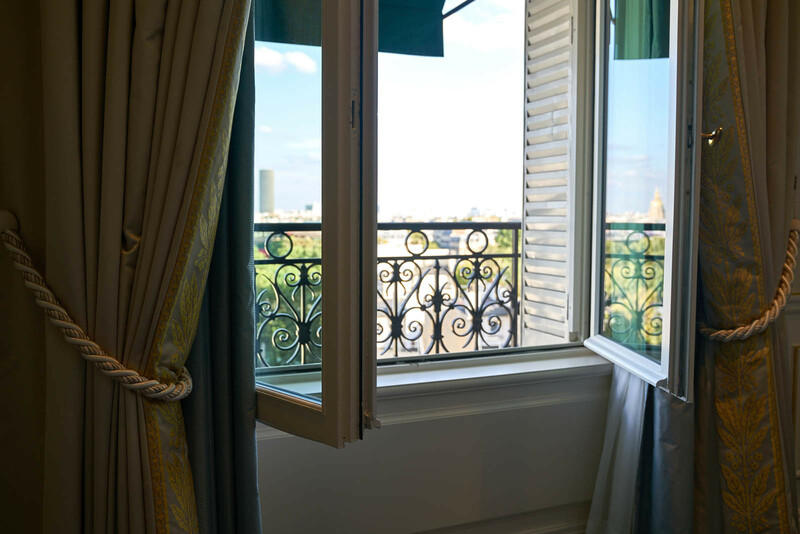 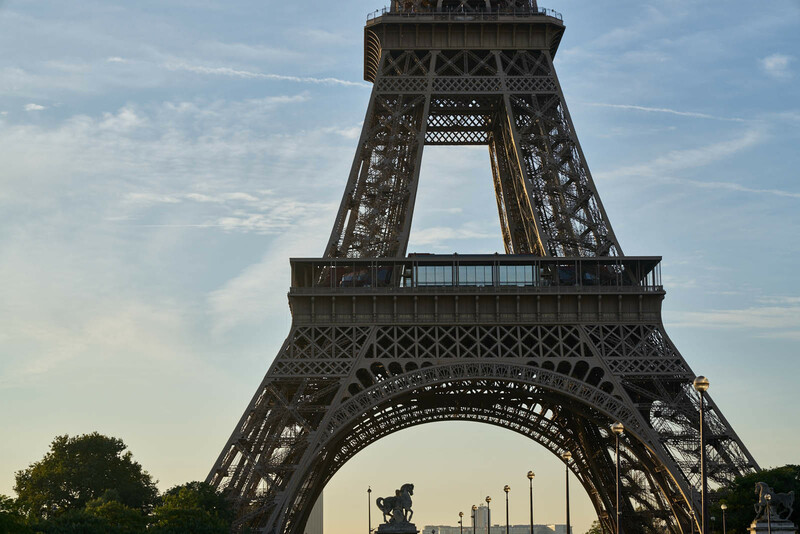 Watching the tower sparkle through the window, as you slip in for a nights sleep, is a Parisian experience like no other. 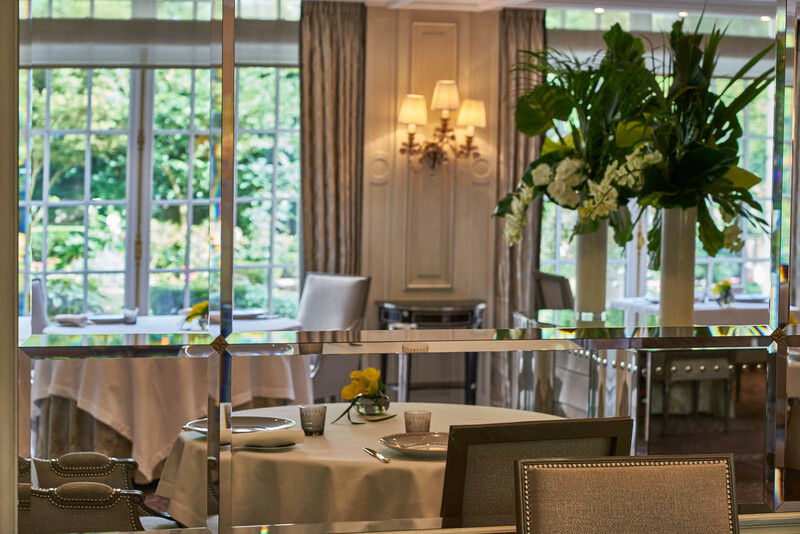 There are three restaurants within the premises; the most centrally located is 'La Bauhinia' which offers a unique fusion of Asian and French style cuisines. 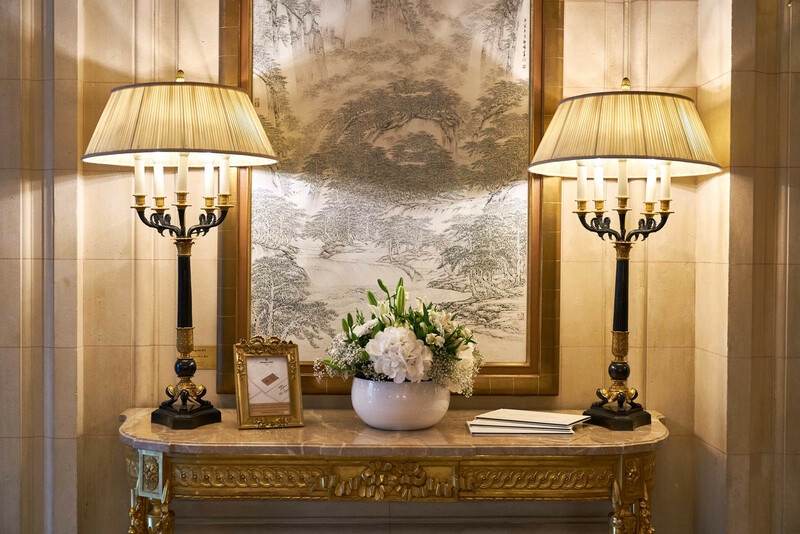 The inspiration for the restaurant was drawn from the bauhinia flower, which poses a powerful reminder of the Asian roots the Shangri-La hotels posses. 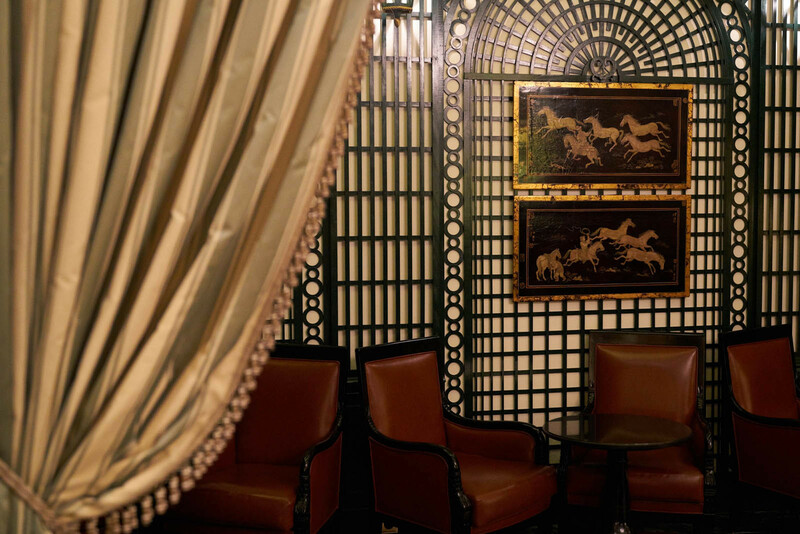 Shang Palace needs no introduction; the restaurant was awarded with 1 Michelin star in 2012 for its' unique take on Cantonese fine dining. 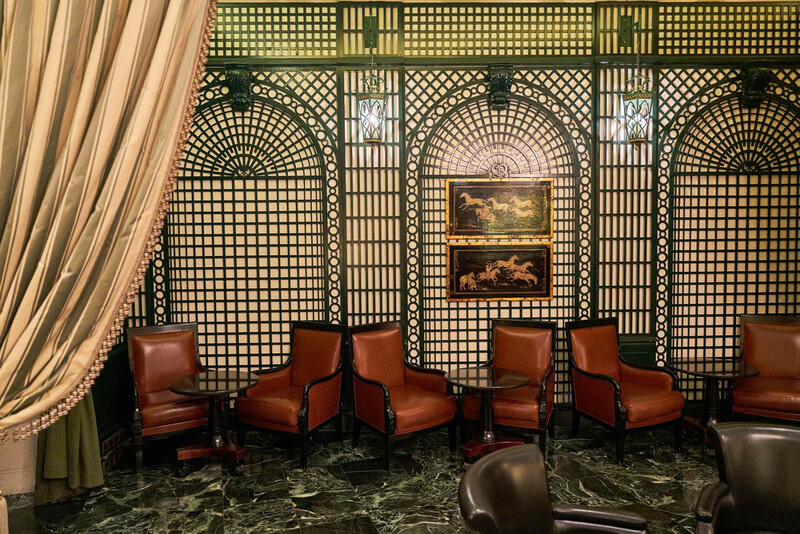 Inspired by Southeast China's culinary traditions, the restaurant offers authentic Chinese cuisine fronted by Chef Samuel Lee. 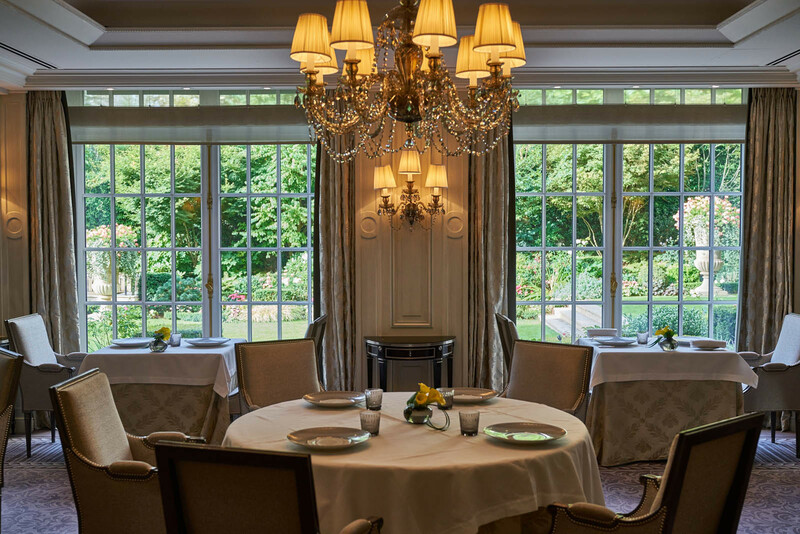 L'abeille is the final restaurant on the premises, and perhaps the most renowned – with two Michelin stars under its' belt. 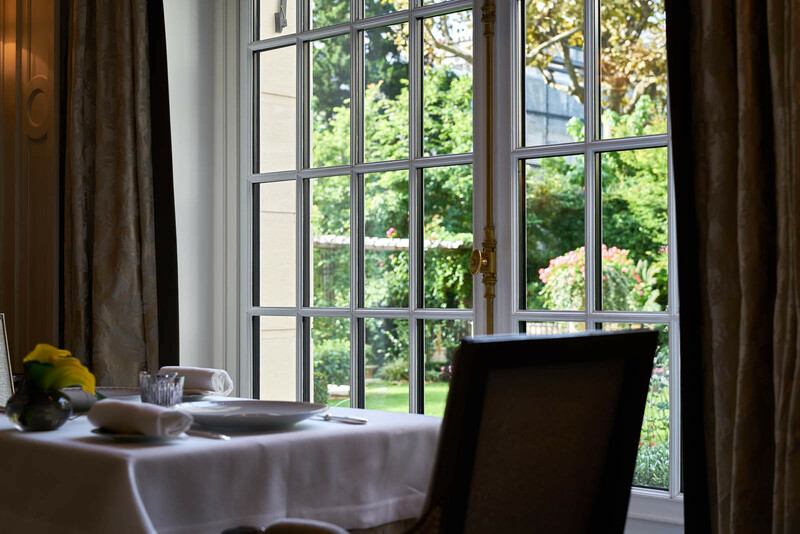 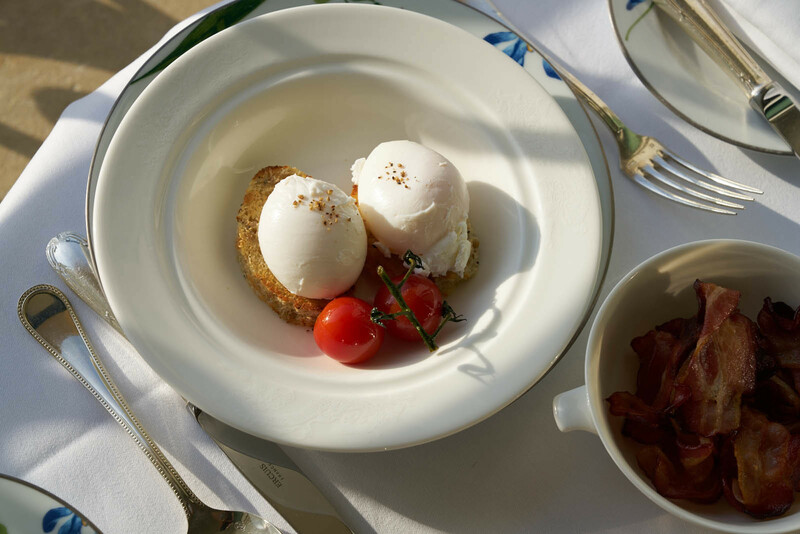 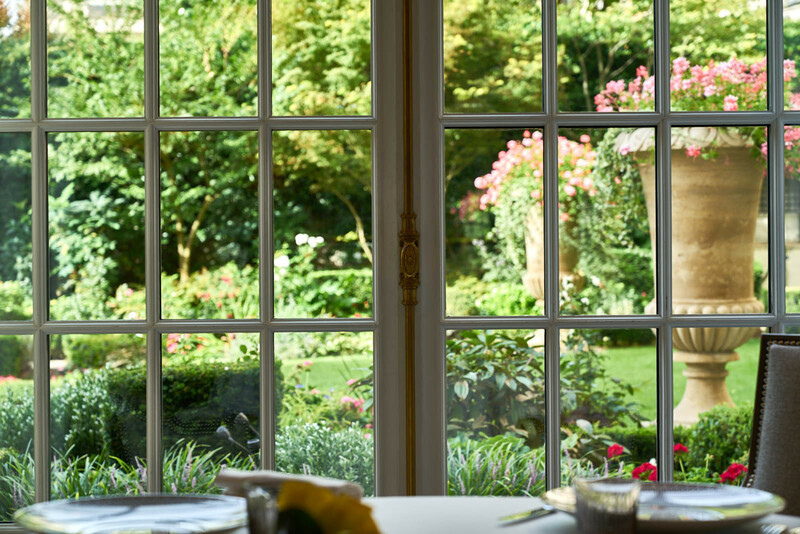 Run by the talented Chef Christophe Moret and named in homage of Napoleon's beloved emblem the bee, the restaurant offers a sophisticated French gastronomic cuisine. 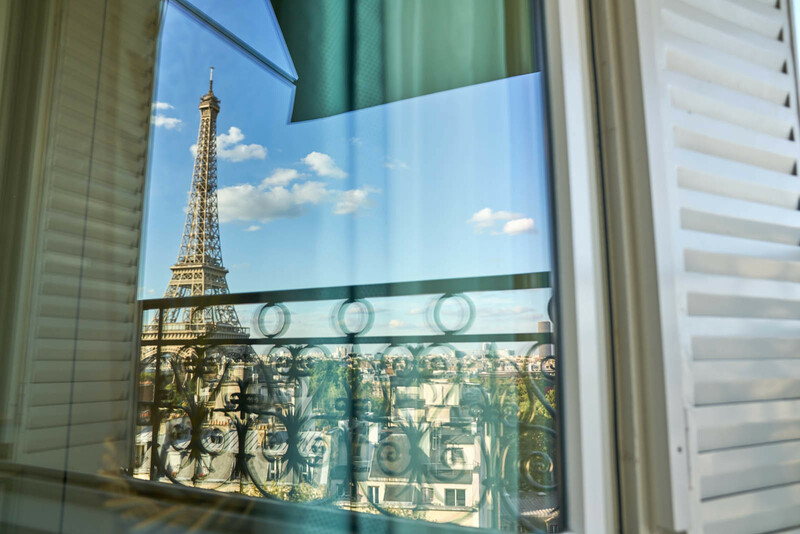 Leaving the City of Lights is never an easy feat, however a little piece of Paris always feels safe in your mind after a stay at the Shangri-La.